Washington Governor Jay Inslee has a long history of supporting the IAFF and the labor movement. As a guest at the IAFF 54th Convention, Inslee said he would always be on the side of labor. 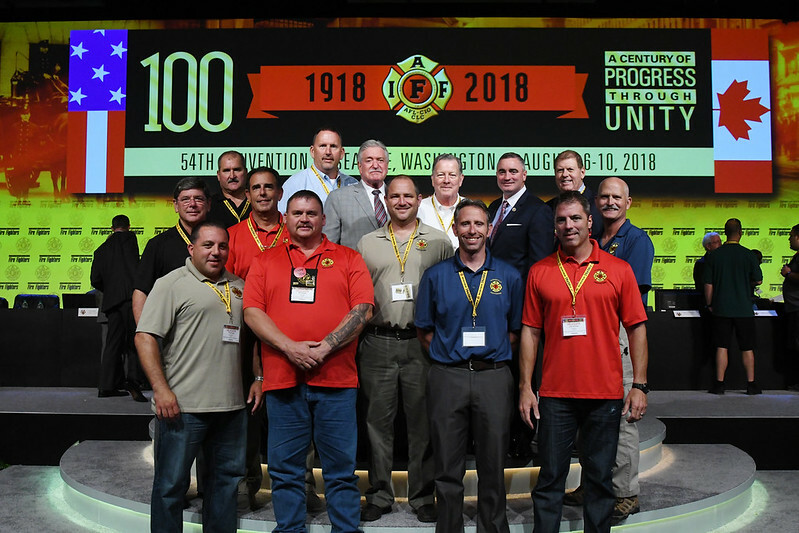 As the IAFF and its state and provincial associations continue to fight on the frontlines to address important labor concerns, including the right to form a union and ensure members who get sick on the job are covered by workers’ compensation, Inslee pledged to be part of the fight and to provide his full support. Just this year, Inslee signed legislation creating a presumption for fire fighters, law enforcement officers and emergency medical technicians who are diagnosed with post-traumatic stress from on-the-job trauma exposure. He also signed a bill outlawing a class of carcinogens (perfluorinated compounds or PFAs) found in fire fighting foam. After Inslee’s remarks, General President Harold Schaitberger presented the governor with a mounted silver fire fighter bell.